WASHINGTON (AP) — Asserting congressional authority over war-making powers, the House passed a resolution Wednesday that would force the administration to withdraw U.S. troops from involvement in Yemen, in a rebuke of President Donald Trump’s alliance with the Saudi-led coalition behind the military intervention. Senate approval would set up a showdown with the administration — a veto would be Trump's first — over the president's shifting approach on foreign policy. The White House says the House resolution is "flawed" because U.S. troops are not directly involved in military action in Yemen, where the coalition is fighting the Iranian-backed Houthi rebels in a conflict largely seen as a proxy war involving the Mideast's dominant regional players. Newly emboldened Democrats in the House, eager to confront Trump on foreign policy, and Republicans in both chambers have shown a willingness to put a legislative check on the president's agenda. In the House, 18 Republicans, including members of the GOP's libertarian-leaning wing and Trump allies in the conservative Freedom Caucus, joined Democrats in passing the Yemen measure. Before Wednesday's vote, the House overwhelmingly agreed to add an amendment offered by Republicans who are seeking to expose emerging Democratic divisions over support for Israel. The amendment reaffirms the U.S. commitment "to combat anti-Semitism around the world" and says it's in the national security interest to oppose boycotts of Israel. That's a reference to the Boycott, Divest and Sanction movement that has gained support of some lawmakers. First-term Rep. Ilhan Omar, D-Minn., one of the Muslim-American women elected to Congress, came under criticism this week for her comments against the Israel lobbying organization AIPAC that raised anti-Semitic stereotypes. She later apologized. The House added another GOP amendment that would allow continued intelligence sharing, which drew fire from the American Civil Liberties Union. The ACLU warned it gives the president broad authority to provide the Saudis and others with U.S. intelligence information about Yemen, and the group said the package, overall, is now weaker than originally proposed. Now the Yemen measure goes to the Senate, where a similar resolution on removing U.S. involvement in the war was approved with Republican support late last year. 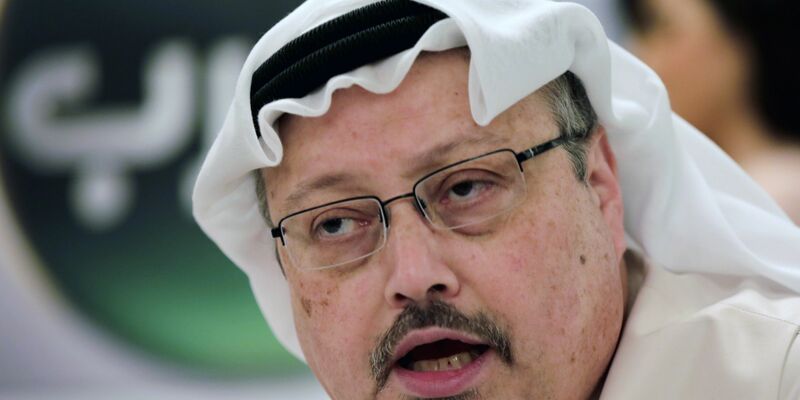 At the time, Congress was eager to send a message to both the president and the Saudis after the October murder of the U.S.-based journalist Khashoggi at the Saudi Consulate in Istanbul. The U.S. has sanctioned 17 Saudi individuals for their involvement in the killing, and U.S. intelligence officials have concluded that the Saudi crown prince, Mohammed bin Salman, must have at least known of the plot. Trump so far has decided not to impose harsher penalties on the prince. The kingdom insists he did not order the killing.